The tonsils, thymus gland, lymph nodes, spleen, digestive tract, bone marrow, and skin form the organs and glands that make up the immune system. Each part plays a vital role in the production of blood cells and lymphatic fluid that keeps the body fighting off foreign invaders and preventing them from infiltrating the body. The human immune system is stronger than the deadliest of bacteria, more sophisticated than the best computer, and more precise than a navy sharp-shooter. Long story short, your body is smart. The spine plays an important role in achieving a high-functioning immune system. Many scientists now refer to the spine as the motor to the brain. Researchers use the motor analogy because the input created by movement of the spine spreads a required nutrient for brain health. The brain controls all of the body’s organs, including all cells and tissues of the immune system. Research proves that the health of the spine plays a direct role in determining the strength of a person’s immunity. Millions of people receive Chiropractic adjustments on a regular basis and report an increase in immune function. The adjustment’s role on immunity formulates a major reason why so many parents take their children to a Chiropractor on a regular basis. Chiropractic gives children and adults an immunity boost with each adjustment. Parents unaware of the benefits of Chiropractic miss so many opportunities to experience optimal health and freedom from diseases that often invade an otherwise safe and nurturing home. Parents and children without a connection to Chiropractic too often end up turning to the common medical solution of drugs and surgery. Most medical doctors advise the use of antibiotics when a family member experiences immune-related symptoms or conditions (i.e. ear infections, asthma, allergies). Antibiotic use skyrocketed in the last few decades, but did so at an extremely high price. 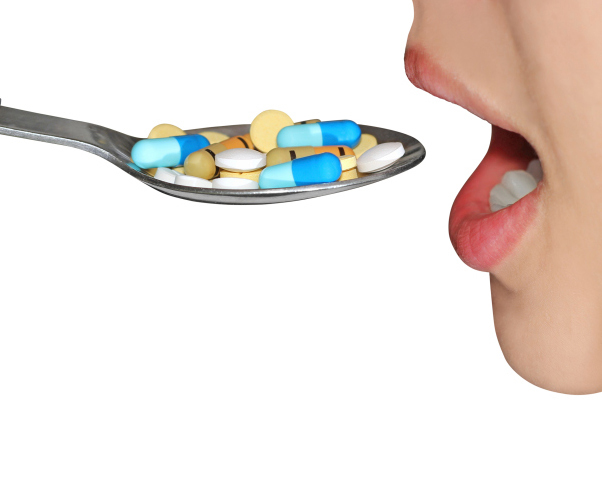 Research from a medical journal in 2005 showed that the use of antibiotics creates significant risks in developing unhealthy conditions and diseases. The study evaluated the link between children using antibiotics in children and the risk of developing atopic diseases like asthma, allergies, and skin conditions. Antibiotics received credit for helping the body temporarily overcome some diseases, but did so at the expense of damaging children’s immune systems. A child taking one course of antibiotics increased the risk of future atopic disease by 159%. A child taking two courses of antibiotics increased the risk of a future atopic disease by an astounding 387%. Children subjected to a third round of antibiotics increased their risk of atopic disease by a frightening 415%. Some children who experienced multiple rounds of antibiotics increased their risk to as high as 1920%. Antibiotics have the power to save lives in extreme cases where medical intervention must take place to ensure recovery. However, parents and society face the quandary of determining when to appropriately use antibiotics as a temporary solution that effectively weakens the immune system and puts children at risk for future disease. Chiropractic offers immune system solutions based on the clear relationship between the spine, brain, and immune system. Chiropractic adjustments do not treat or cure conditions. Adjustments remove interference to the nervous system and allow the body and immune system to work as intended. Pharmaceutical companies portray the human body as incapable of combating diseases. The body contains immense power to operate far more effectively than any drug and do so without side effects. Chiropractors believe everyone deserves to know the truth about Chiropractic and experience the benefits that only an adjustment can deliver.